Summer is the perfect time for juicing fruits and vegetables. There is nothing better than starting or ending the day with a delicious, healthy drink. It’s an easy way to get excellent nutrition quickly, and even kids love it. During summer and fall, I have so much produce from my garden I can’t keep up with it. I have found that juicing saves me a lot of time and energy. The juice can be frozen or canned, and the pulp is wonderful to put in soups, baked goods, casseroles, or drinks. 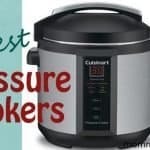 It is a great way to “sneak” vegetables into your family’s food without them realizing it. The pulp freezes very well and takes up little space. At the end of garden season, when I am tired of canning or dehydrating vegetables, or even in the winter with my AeroGarden, I have been known to juice pretty much anything—beets, carrots, onions, sweet peppers, hot peppers, tomatoes, you name it. 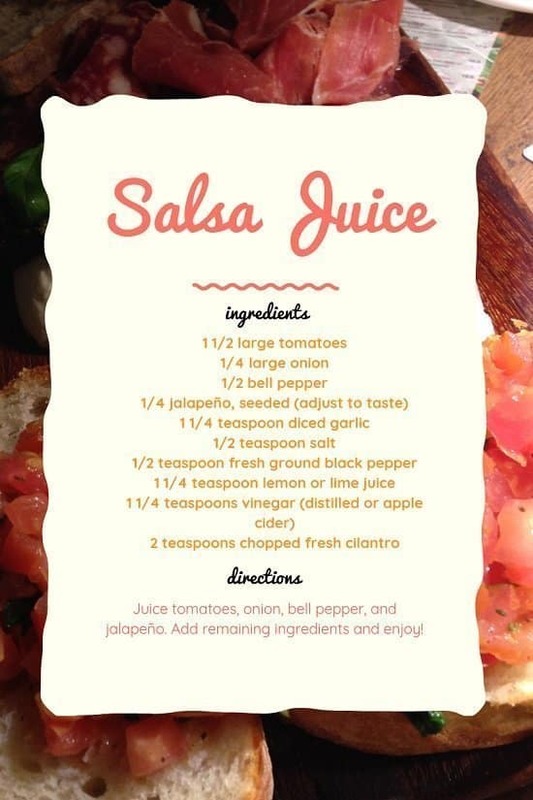 I love to juice the ingredients for salsa, add some salt and pepper, and freeze or can the “salsa juice”. It is fantastic in a soup or added to spaghetti sauce; I even like to drink it straight! Cost. 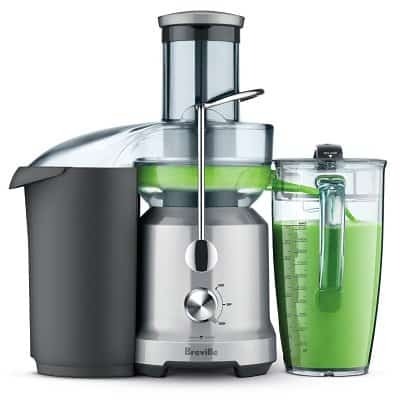 Juicers range in price from around $50 to over $1,000. 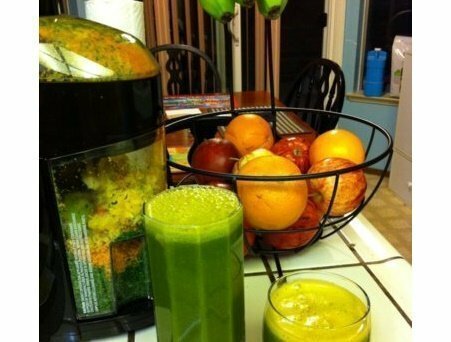 For most people who are just juicing for home use, a less expensive option will work. Pulp Processing. Some juicers leave a significant amount of juice with the discarded pulp. Look for a juicer that extracts the maximum amount of juice from the pulp. Amount of Prep Needed. Most people prefer to do less prep work if possible. If you are one of those people, look for a juicer that can handle juicing through seeds and peels. Also, I like a wide mouth juicer so I don’t have to cut my food into small pieces before putting it into the juicer. Juicing Ability and Power. If you are looking to juice only soft fruits and vegetables, most juicers will be fine. 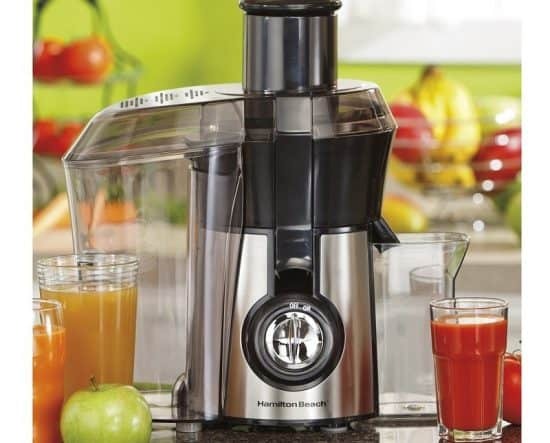 However, in order to juice harder foods such as apples or carrots, you will need a more heavy duty juicer. A juicer with good power can zip through even the toughest foods quickly. Warranty. As with other small appliances, having a warranty on a juicer will give you more peace of mind. Check out the warranty before deciding whether or not to purchase a particular juicer. With so many options and price ranges available, how do you know which juicer is best? Here are my top five juicers under $200, $100, and $50. In the price range, the Breville BJE430SIL the Juice Fountain Cold Plus 850-Watt Juice Extractor can’t be beat. Simply wash fruits and vegetables and let the juicer do the rest. Because of the extra wide loading chute, even larger foods like apples can be thrown in whole. This juicer takes mere seconds to juice, and it separates the froth from the juice. Choose the “low” setting for softer foods like tomatoes and the “high” setting for harder foods like apples or carrots. 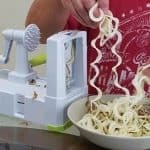 This machine is very easy to clean, as the parts are dishwasher-safe. The large-capacity pulp collector and juice jug allow you to run a good amount of juice before having to empty them. The one downfall of this juicer is the pulp ends up pretty juicy. I like to run the pulp through a couple times to get more of the juice out. The Breville BJE430SIL comes with a one-year limited warranty. All of Breville’s juicers come with BPA-free parts, so you can rest assured you are safe using them. This is another good option, but less expensive than the Breville JE98XL. It is slightly less powerful than the JE98XL, at 700 watts compared to 850. 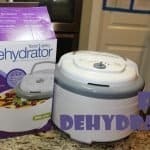 It also has an extra-large feeding tube, which means you don’t have to cut food up before juicing it. This is a good choice for a juicer if you are doing juicing less quantity. It does not come with a separate pulp collector. The pulp is stored around the base of the juicer. 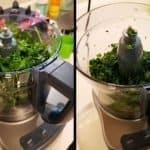 You have to clean it out occasionally during juicing, depending on how much you are juicing. This machine does not have varying speeds, only an on and off switch. 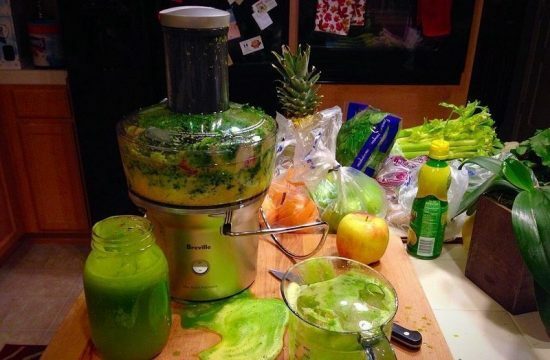 The speed on this juicer is quite high, so be careful when juicing softer foods or you may end up with juice all over your kitchen. This Breville BJE200XL contains dishwasher-safe parts and comes with a one-year limited warranty. The Hamilton Beach 67608 Big Mouth Juice Extractor is a cheaper option than either of the Breville models. It will give you good results. However, with the cheaper price you are giving up some benefits. The pulp from the Hamilton Beach is considerably more juicy than the pulp from the Breville juicers, which means you are getting less juice. This machine is also a lot louder than the Breville models. It has only one speed. On the bright side, this Hamilton Beach juicer has dishwasher-safe parts as well as a one-year limited warranty. If price is your main focus, this is a good machine. 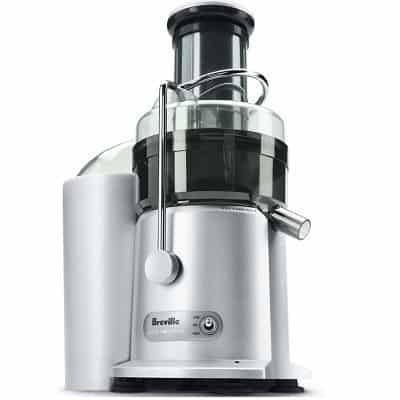 However, if you can afford it, go with one of the Breville juicers listed above. 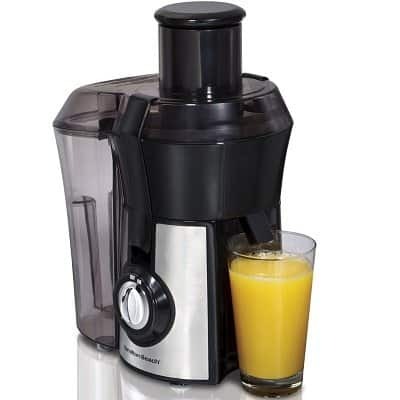 If you are looking to try out juicing at a minimal cost, the BLACK+DECKER JE2200B 400-Watt Fruit and Vegetable Juice Extractor is a good option. However, it will require more work on your part. Because of the small chute, you will need to cut fruits and vegetables before juicing (the chute can fit 1/4 of an apple). Like the other juicers on the list, this one has dishwasher-safe parts. It comes with a two-year limited warranty. At only 400 watts, this juicer is much less powerful than the others. Also, the pulp ends up very wet, and this juicer does not separate the froth from the juice. This is a good option if you aren’t sure if you want to juice long term. 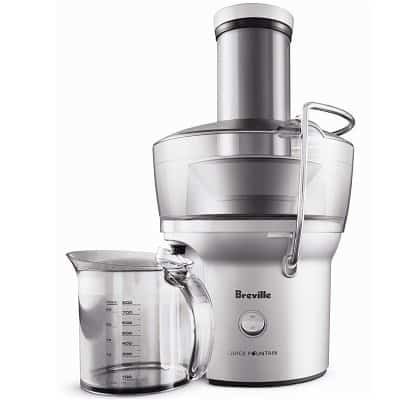 If you are serious about juicing, pay a little more and go with a Breville. This juicer is an inexpensive option for those looking to experiment with juicing. 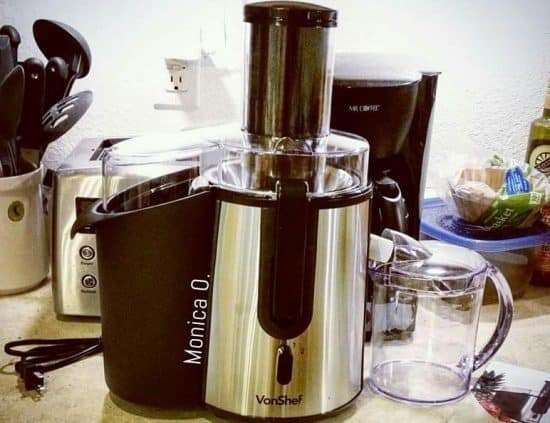 The VonShef Professional Powerful Wide Mouth Whole Fruit Juicer 700W has a 700 watt motor and has a stainless steel finish. The wide mouth boasts the ability to juice fruits and vegetables up to three inches in diameter. The reality is that especially for harder foods like carrots, you have to cut them before juicing with this machine. Otherwise, you end up with large pieces of food in your pulp. 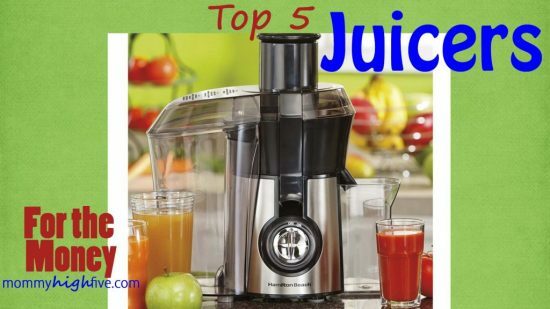 The pulp is generally juicy, similar to that of the other juicers on this list. The VonShef does have two speed settings as well as dishwasher-safe parts. It comes with a limited lifetime warranty. This machine will give you juice. If you want excellent, lasting performance, though, I recommend the Breville models listed above. Juice tomatoes, onion, bell pepper, and jalapeño. Add remaining ingredients and enjoy! Juicing is a great way to boost your nutrition and save money over buying pre-made juices. 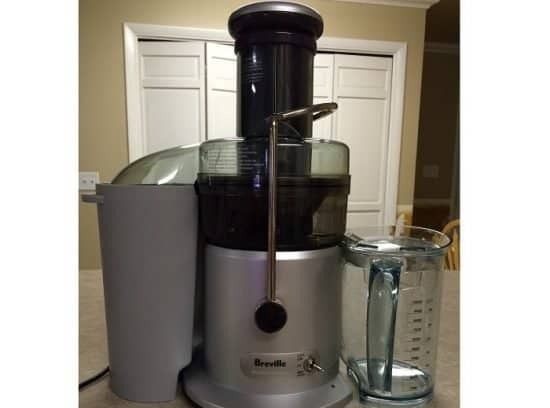 Any of the above listed juicers will give you a good juicing experience, but if you are looking for long lasting quality and excellent performance, I recommend purchasing the Breville JE98XL Juice Fountain Plus 850-Watt Juice Extractor. It will save you money in the long run and will give you everything you expect out of juicing.